iC3D is the world’s first 3D real-time packaging simulation and design application to combine multiple packaging disciplines in one product. Other software applications frustratingly separate design applications into cartons, labels, flexibles, bottles, shrink or store visualisation. iC3D encompasses these and more, allowing all these elements to be seamlessly combined in the same scene. iC3D is the first 3D packaging design and visualisation software to offer the patented “Smart Wrap” Mapping software which allows labels and artwork to be placed accurately onto complex models without the need for tedious UVW mapping of texture coordinates. iC3D comes with a direct link into Adobe Illustrator allowing your 2D Illustrator artwork to be directly mapped onto your 3D models as base artwork or as labels. Output hi-resolution images, PDF proofs for mark-up or share your designs with colleagues and customers using the iC3D Movie exporter, which creates portable compressed movie files that can be shared or put on compliant websites. 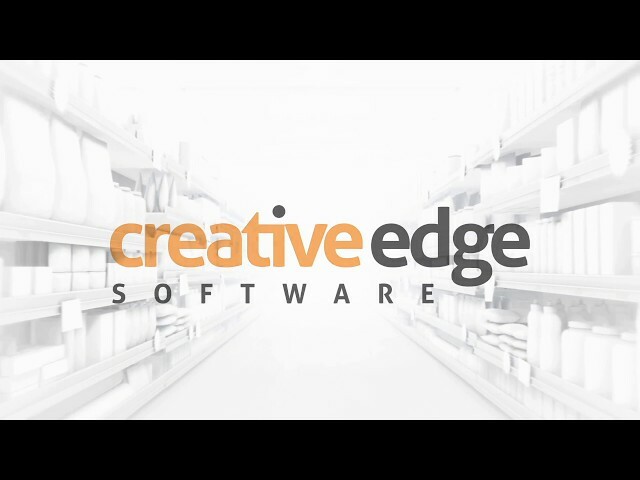 Creative Edge Software has just released version 5 of its groundbreaking iC3D packaging design solution containing a wealth of important new features. iC3D is the only complete 3D packaging solution that combines all tasks from initial packaging design to photo-realistic pack shots in one application. Point Editor is an advanced shape editing tool, providing enhanced photorealism through the ability to add curves, creases, crumples and dents to models selectively. UVW Editor enables selective manipulation of artwork placed on 3D models to correct artwork distortion, improve naturalism and allow artistic interpretation. Physics Simulator automatically calculates appropriate curves, creases and distortions to create photorealistic 3D flexible packages, such as bags and pouches, at a mouse-click. Sealed Shrink is made to visualize shrink-filled packages, using completely sealed bags. This feature complements the existing iC3D Shrink Sleeve feature. Advanced Shape Modeller is an additional tool for the creation of highly complex 3D shapes and combinations of shapes. iC3D is the worlds first 3D Real-Time packaging visualisation and design application to combine multiple packaging disciplines in one product. Other software applications frustratingly separate design applications into cartons or flexibles or bottles or store visualisation. iC3D encompasses these and more, allowing all these elements to be seamlessly combined in the same 3D scene and visualised with colour accurate materials using image based lighting (IBL) in retail environments. iC3D is also the first 3D packaging visualisation software to offer our patented “Smart Wrap” technology, which allows labels and artwork to be accurately placed and wrapped onto complex 3D models without the need for tedious, slow UVW mapping. This makes it extremely fast and easy to learn. iC3D comes with a seamless direct link to Adobe Illustrator allowing 2D Illustrator artwork to be directly mapped onto realistic 3D models as base artwork or as labels. Import files from leading CAD and other 3D applications and export movies, folding carton animations, 3D print files, Augmented reality, Hi-res image output and connect to leading proofing/approval and production workflow systems. Most models are imported with their materials (where applicable). Where a model is not available you can take advantage of iC3D’s Model Generation Service to create the model you desire from your designs. iC3D is delivered with an ever expanding model library of common packaging models. Your own packaging models can be added to the model library for quick and easy access when creating your packaging designs. To use a library model it’s as simple as dragging a model from the library and dropping it within the scene. One of the slowest parts of packaging design can be creation of models. Especially if you need to keep changing the model as your concept develops. Model templates make this creation and recreation process considerably faster. iC3D ships with a range of model templates ranging from bottles, bags, magazines, and many common flexibles types, like Gusseted Bags, Pillow Bags, Sachets, Pouches and many more. This collection of auto generated template models is continually growing so if you don’t find the template you are looking for we may be able to create it for you. The model editor allows you to manage the multiple models and model components that are often used to build up a scene. The editor allows the user to interactively control of the objects, meshes and materials within the scene, including the ability to rename the scene components for better controls. If you are creating 3D models in your favourite 3D application and it supports the exporting of materials, then the likelihood is that those materials and the associated bitmaps can be loaded into iC3D. Where you need to easily create sophisticated materials like refracting glass or metallic effects like gold foil, holographic or even lenticular effects, the iC3D material editor is designed to simplify this process for you. Once you have created the surface materials for your model they can be easily applied to using drag and drop to the correct parts of your model or by using the Object Editor. The 3D environment generates the required 3D shaders on the fly in order to correctly render all changes to models, materials and environments on the fly. No need to wait while your display updates, changes are applied in real time, meaning you can instantly tweak them to create the effect you are looking for. The 3D rendering model is based around Image Based Lighting, which use HDRI or EXR environments to calculate accurate and realistic lighting. Like a ray tracer it calculates the correct amount of lighting to apply and the environmental lighting influences on a per pixel basis for every rendered frame, however, unlike a ray tracer it is able to do this in real time. Open an objects material in the materials editor, make changes and see those changes instantly updated at full rendering resolution to the model. Import HDRI and EXR format environments directly into iC3D so your models are shown in the environment of you choices. In addition use the environment as a 3D background for your scene. All of these can have labels and or base artwork applied to them, directly from within Illustrator. In iC3D it’s possible to display a shelf or display tray containing different products so they can be compared together. This is useful for the comparison of, Competitive Analysis, Version Comparison and Variant Comparison or for just checking how many with fit in the tray . This is simple process whereby several SKUs can be selected, the number of items specified and they will then be organised on the shelf automatically. Once placed on the shelf it is possible to interactive edit them, for example changing the colour of the label. iC3D comes with a plugin for Adobe Illustrator. This plugin allows you to connect iC3D to your copy of Illustrator. When you create labels or base artwork within iC3D these are automatically created in Illustrator, where you can add artwork to the illustrator document and it will appear on your label or model within iC3D. The process also works in reverse, where you can select within iC3D to open your already designed label artwork (.ai and .pdf files formats supported ) and it will open this artwork for you with Illustrator and create an iC3D label linked to it automatically. Once opened the artwork will appear on you label which can then be interactively positioned on your model. iC3D’s Auto Mesh Mapping software allows labels to be placed accurately onto complex models without the need for tedious UVW mapping of texture coordinates. As UVW mapping of a model takes often as much time as modelling the model in the first place this can be a considerable time saving. Labels can be seen both in 3D on a model or in 2D using the separate 2D views. These 3D and 2D Views can be exported to PDF to allow for accurate mark-up. iC3D’s Auto Mesh Mapping software can also be adjusted to jump gaps allowing labels to flow smoothly over gaps like ridges in tins or plastic water bottles. iC3D labels and base artwork can have many effects applied to them. In the Adobe Illustrator artwork, specify a spot colour to represent where the effect should be placed, then select which effect to associate with the spot colour. The rest is done automatically for you. iC3D has many predefined effects but allows you to also design your own. All the flexible templates allow the packets to be animated from empty to full. So you can see the effect on your artwork in different states of fullness. In addition if you have a model that has two versions, a full model and an empty version of the model, you can create your own flexible models using the iC3D Flexible Model Editor. Models that should contain liquids can also be filled with liquid in order to see the effect the liquid has on the design. The opacity and colour of the liquid can be individually controlled. iC3D has the ability to cast real time 3D Shadows, on other meshes within the model, creating an even more realistic rendered environment. Reflections of models can be projected in the floor plane to give the impression they are sitting on a shiny surface. All of the above comes together to allow the staging of complex and dynamic scenes using cross discipline packaging type. An example might be an accurate model of scotch could be created and labelled then placed to an equally accurate model of the box the scotch goes in. Then a glass of scotch with its ices is added to the scene and the materials for the glass and ice are applied. Then liquid if fifed in the bottle and glass to represent the scotch and the background is changed to grouse moorland. The result is a complex scene which can be saves and exported as a high resolution render or as a 3D model for others to view. The labels and artwork used in the generation of the scene can also be output with screen shots of the scene automatically to a PDF for collaborative review and mark-up. An auto generated PDF containing several screen shots of the 3D scene as well as 2D renders all the labels and base artwork in the scene, can be easily exported to allow for easier collaborative review or mark-up. Models created or edited in iC3D can be exported with their materials in Collada format or editing in other third party 3D applications. They can then be reimported as Collada files back into iC3D if required. A Quick Time Movie (MOV) file can be recorded and exported to allow the 3D content to be viewed on other devices and platforms, such as the Apple iPhone or iPad. The Movie exporter uses high quality video compression to create iPhone and iPad compatible movies. The user can also manually animate the object during the recording, to zoom in on a certain section or spin the objects / objects so they can be viewed from all sides. Displacement mapping is an alternative technique in contrast to bump mapping, or a height map. It gives surfaces a great sense of depth and detail, and applies this detail to your printable surfaces applied to your model, or to the models mesh, becoming part of your finished model in iC3D. Copying of Labels; the ability to copy a label from 1 model and paste it on to another. 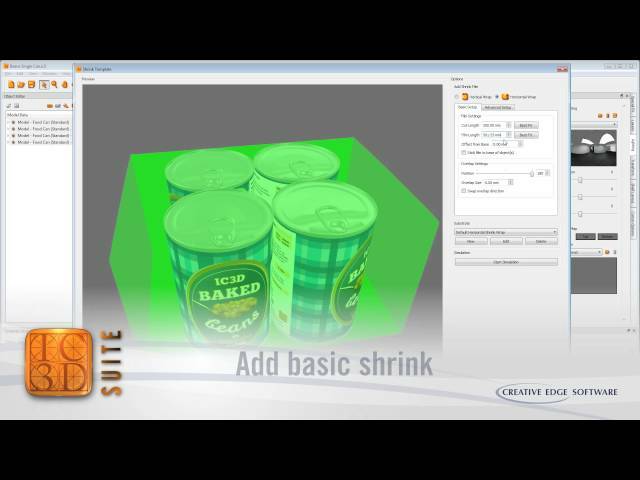 Added Quality setting to Shrink Template for faster shrink results on large objects. Transparency and opaque white effects displaying in the ray tracer correctly. Skewing when exporting ray traced movies. Opsis export working correctly for standard, and animation ray traced models. Animation not updating correctly in iC3D ray tracing. Interior fills not being UV mapped correctly. Max interior from base setting being limited to 99, now increased ability to match height of object in the interior & fill template. Double sided labels displaying correctly in the ray tracer. Repeat values on shininess maps being reverted to 1.0. Shrink bottles disappearing when non-advanced transparency setting is selected. PDF editor crash when applying spot colour material effects. Odd rotation of object in the shrink window. Movie export skewing and not working for freehand movie export in the render manager. Generation of a lighting rig from the background image. Dynamic Shelf added to Shelf Visualiser. Allows duplicated items to share 1 artwork. Lighting/Environment map generation and editing. Support for Adobe Illustrator 2015.3 plug-ins. Optimised model imports for speed, using “Shelf Layout”. Merging of models in Object Editor. Artwork Manager now supports turning off the back of carton and double sided labels. Zoom, Pan, Fit to screen functions added to template model preview window. Short cut key added to select all cut lines; Command + D on Mac, Ctrl + D on Windows. Short cut key added to pan around the cutter guide when zoomed in; hold the P key down, click left mouse button and drag. The Ability to insert 2D images to the 2D Spinner Template background. CXF Colour loader buttons added for liquids. Shaped Bag template; distortion of artwork displays correctly if contents shape is offset. iC3D PDF Editor now displays the front and back sides of cartons when adding artwork. To activate your Opsis account please contact Creative Edge at support@creativeedgesoftware.com and provide your name, software license details with your required user name and password. Planar mapping for fixup tools. Fit to screen for 2D backgrounds w/locking. Object Editor – improved hierarchy collapse. Fixed Color picker loading wrong color. Fixed Japanese PDF layers showing wrong character. Fixed Loading of PDFs with Japanese files that have Japanese character in path. Fixed change in positioning of objects when exported to Opsis (background lock must be in place). Supporting ultra hi-resolution, photographic quality HDRI backgrounds and environments. Creates soft shadows, shading effects and enhances fine surface details to improve photo realism. Allows additional studio lights and shadows/shadow maps to be created. Minimises the need for Photographic Studios. Allows easy creation of cosmetic, pharma and toothpaste tubes with full edit controls. Create Pillow & Gusseted bags based on irregular contents shape. Replicate rice bags, drink sachets, irregular biscuits & contents “slump". New enhancements include tilt and parallel arc functions. Create of sophisticated 3D models and components like spheres, hoops handles. Templates to create Multiple Shelving, Gondola Displays, Refrigeration display units & Chiller cabinets. Enables full product comparisons. Rendering issue when Exporting HiRes 3D PDFs (Mac issue only). Adobe Extension Manager CC no longer required for IC3D Suite installation. Issue when placing very large Illustrator artwork with HiRes Render. Screen Lock-up on PC's with some versions of Nvidia Graphics Cards. Spot colour cutout function added to "Layers Spot Effect Window". Crash when a Cut-Out selected in Layers is used with Carbon Fibre Material. Occasional incorrect decompression of Illustrator files. Offset Issue with some PDF’s containing an Inner Margin. Crash when using Undo in PDF Editor. Show Hidden Models not revealing Hidden Labels. Issue when defining Depth for Diaper Bag. Issues when using Textured Materials. PackZ Path Saving and Startup Selection issues. Support for Illustrator CC 2015 added*. "Select and Deselect All" added to Artwork Manager. Delete function additionally assigned to Backspace/Delete (←) Key. Improved resolution of notches and transparent areas on bags. Improved algorithm to speed up cut-outs in IC3D Carton Template Window. New "invert" selection control in carton template window using cmd + i (Mac) ctrl + i (PC) keys. "Bake Transform" option added to "Transform Reset" - Embeds transform information into current carton. IC3D Windows now easier to dock when using a Mac. "Centre Carton When Folding" option added to "Carton Option’" window. Editing of label base names added. Imported splines are now optimised. Issue with distortion on rotated shrink film. Rendering of large area PDF files. Transparency issues on Bag Templates. * On initial start-up of Illustrator CC 2015 you must create a new dummy Illustrator document to activate the link to IC3D Suite. Should Adobe Illustrator CC 2015 fail to communicate with IC3D Suite you will need to reinstall IC3D again to re-establish a link. Based in Vanves just outside Paris, Made in Pack is a platform for multi-process pre-press packaging production. Its innovative team of packaging production experts works with the big names in industry. Made in Pack’s customers include brands like L’Oréal, Redken, Harrys, Charal and Régilait as well as packaging printers such as Amcor and Smurfit Kappa. Having numerous types of different customers also means producing a wide variety of packaging. Made in Pack has years of experience and manages the coordination, implementation, declination, photogravure and proofing of cartons, labels, bags, thermoformed films and other types of packaging. After investing in iC3D, Made in Pack now offers a new solution for 3D visualisation and validation for all media. iC3D is a 3D visualisation solution especially for packaging. It lets you intuitively convert a 2D graphic design into a virtual prototype that can be manipulated and viewed from all angles and even integrated it into a virtual environment such as a store. The graphic design is applied to existing packaging from the model library or an imported model created in a third-party application. However, iC3D also offers a wide variety of templates and tools for creating your own models. Jan Debacker, Production Manager at Made in Pack, is very clear: “We had the ability to create 3D visualisations before, but it was very laborious. iC3D is a fast and powerful solution for creating virtual packaging. The tools are concentrated in a single software and let you create, visualise and share 3D images as high-resolution or animated pack shots via IC3D opsis, the on-line sharing service built into the latest version of the software. The rapid evolution of this software means we receive new features with almost every update", continues Mr Debacker. "Besides the usual standards of the packaging industry, iC3D lets you create customised models in different types of environments. The multi-object approach also allows you to visualise several components (carton, bags, POS) assembled in a single environment. This simulation helps you identify certain optimisations at the earliest possible stage and advise the customer effectively." The advantages are not just technical. "As a team on a human scale we always have to think about how we differentiate the major players", explains Laurent Sehier, Managing director of Made In Pack. “iC3D offers real internal and external added value. It gives us an economic way to capture potential errors early in the production process. This means we can offer an additional service to our customers, enabling them to make the right decisions regarding the technical and visual aspects of their packaging in order to achieve a product that stands out on the shelf." To meet the needs and expectations of Purchasing and Marketing departments, Made in Pack offers a comprehensive management solution for the packaging graphics chain. Its role: to support you along the entire value chain of your packaging projects, to centralise and share resources in their entirety for all brands and all stakeholders. Made in Pack is a dual-competence partner that offers marketing and creative sensitivity underpinned by recognised technical and operational excellence. It provides a tailored service enabling excellent control of the entire packaging graphics chain with multi-process experience to ensure on-shelf uniformity of the product range. For more information, visit www.madeinpack.com. 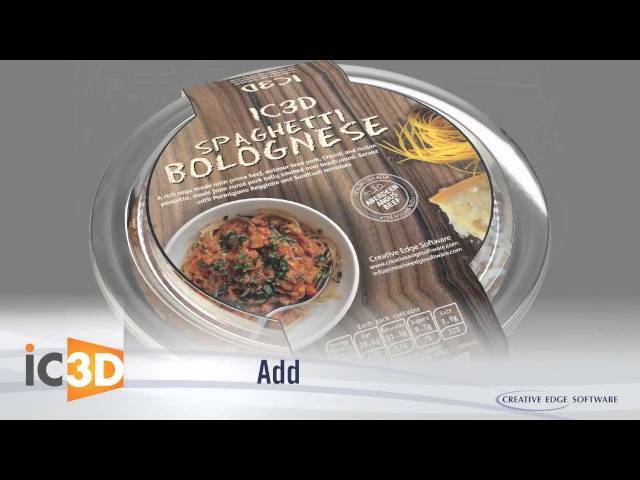 Developed by Creative Edge Software, iC3D is a range of products for designing and sharing virtual packaging prototypes. iC3D, the main application, provides functions for creating models of cartons, POS, bottles, flexibles, tubes, sachets, etc., and applying graphics onto the packaging in real time. iC3D Carton Edition is the entry-level version that focuses on the visualisation of folded cartons. iC3D opsis is an on-line 3D model sharing service integrated into iC3D and iC3D Carton Edition. iC3D Automate is a solution for automatically replacing the graphics on existing models and generating all kinds of outputs such as images, 3D PDFs and more. 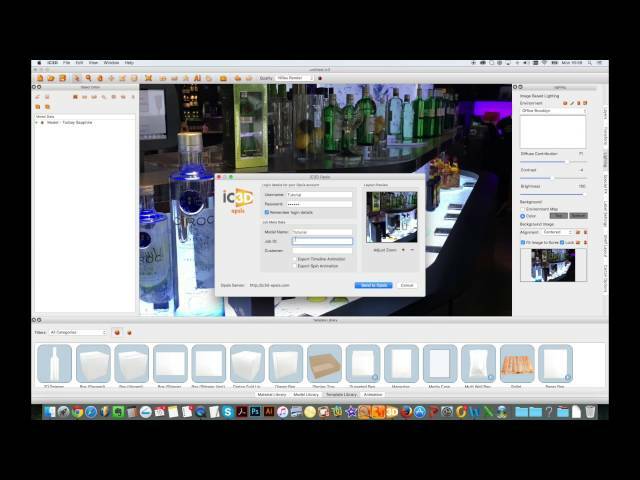 iC3D Viewer is the free application for opening native iC3D virtual prototypes on any computer, Mac or PC. iC3D products are distributed by Four Pees. For more information, visit the Four Pees website. Graphic communications agency Square SA has been active since 1979. With its comprehensive knowledge of the graphic chain, Square operates notably within the fields of pre-press and packaging, pre-media (documents and publications), image databases as well as resource management and editorial solutions. Graphic communications is the company’s core business, with a firmly technical approach. Based in Lyon, France, the company boasts a portfolio of customers that includes global players such as Adobe, BNP Paribas, L’Oréal, Le Monde, Danone and Volvo – to name but a few. Roland Donzelle, CEO of Square SA, believes that customer demands have changed dramatically: "Time-to-market has become much shorter, which requires more flexibility from suppliers." Mr Donzelle explains further: "The demands on pre-press have spread towards supplying structured data and 3D simulations, as well as prototypes." For Square, this represents an opportunity as well as a challenge to anticipate these customer demands. Enter iC3D. As a real-time 3D packaging simulation and design application, iC3D can bring ideas to life. Not only is it possible to create 3D environments in real time, but it can even generate three-dimensional models in complex scenarios. "The philosophy behind the software really appealed to us", Mr Donzelle explains. Thanks to its flexibility, iC3D has not gone unnoticed. Other software products can be a source of frustration as they continue to apply design processes in isolation. In addition, Square was looking for a publisher who would listen to them. "Another instrumental factor was the publisher, who seemed to be very in tune with our needs", Mr Donzelle states. "The support provided by Four Pees, whom we know well, has also contributed to our decision." Clearly, to have a strong partner is vital in order to gain access to the market and generate sustainable and profitable growth. Square has been using iC3D for more than a year now and has noted a remarkable change. Turnaround times have improved thanks to iC3D, and productivity has increased. iC3D thus gives operators the chance to improve their creative potential. Furthermore, it achieves higher-quality results leading to improved sales. Square now needs to persuade even more of its existing customer base and, perhaps more importantly, attract new customers. "We are completely satisfied", Mr Donzelle concludes. Square SA is a graphic communications agency. In an age of constant connectivity and digital publishing, creating documents quickly, printing or enhancing them with multimedia content, transferring, translating, modifying, classifying and filing them has become a major issue for buyers. Square SA’s areas of focus include pre-press and packaging, pre-media (documents and publications), image databases as well as resource management and editorial solutions. As such, Square provides comprehensive expertise over the entire graphics chain, taking a firmly technical approach geared towards new technologies. For more information, please visit www.square.fr. iC3D is the main application, providing functions for creating models of cartons, POS, bottles, flexibles, tubes, shrink wraps ... and applying graphics onto the packaging in real time. iC3D products are distributed by Four Pees. For further information, please visit the Four Pees website. Webinar - What's new in iC3D 4? Webinar - What's new in iC3D 3.6? This webinar shows the new features of iC3D 3.6 and gives an overall introduction to the solution. With the distributed and remote rendering feature, you can use leftover processing capability from other computers on your network to help render the images faster. Otherwise, even when using a strong computer with a good GPU to render images using the Ray Tracer in iC3D, it still may take longer than you'd like. We show you around in Creative Edge iC3D and its basic functionalities. After explaining the User Interface and showing where you can find your resources, we will create a packaging from scratch - revealing the entire process. 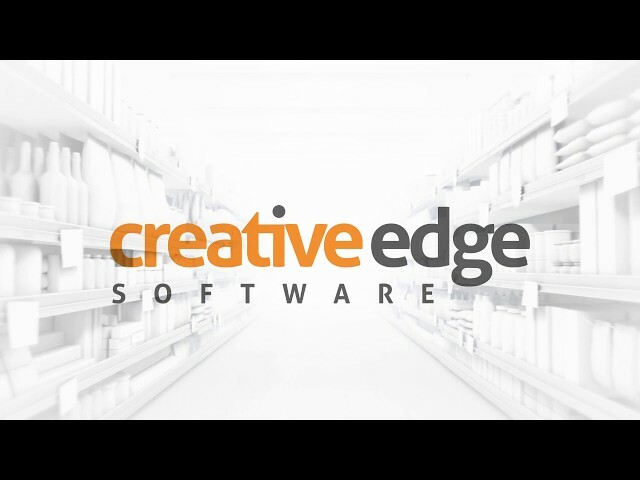 With Creative Edge iC3D it doesn’t have to cost a lot of time and specialized knowledge in 3D-modelling and textures! Do you want to learn everything about how you can visualize virtually any packaging type as if you were holding it in your hand? Well, iC3D just got even better and more powerful with the latest version. On September 12, Tom Peire, CEO of Four Pees, held an English webinar to show you what's new in the latest version of iC3D. 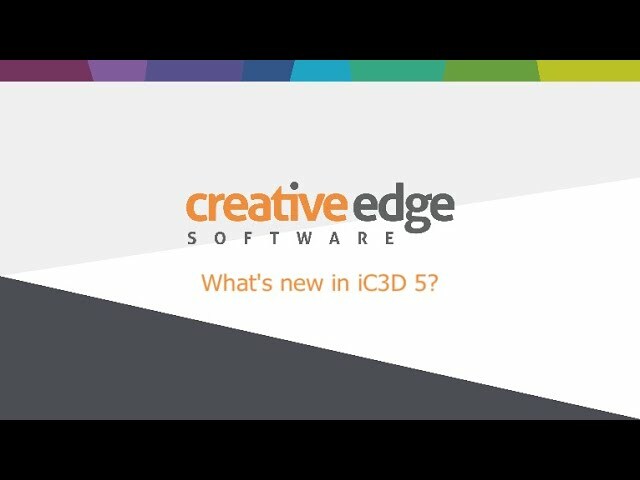 Files - What's new in iC3D 5? We are proud to announce that Creative Edge Software has just released version 4 of its groundbreaking iC3D packaging design solution, containing a wealth of important new features. In this webinar Tom Peire, CEO of Four Pees, will introduce you to the new features of iC3D 4. While creating 3D visualizations for packaging or label jobs is a creative process, ultimately there are a number of more administrative and repetitive tasks involved as well: clients want to see different views of each 3D model, multiple language or design variants need to be created from a model. These tasks can be done manually using iC3D, but they can also be automated using a new Creative Edge solution, called iC3D Automate. This command-line tool can automate and standardize a whole range of time consuming tasks and can easily be integrated through scripting or using automation tools, such as FileTrain from Laidback Solutions. The theory behind environment and lighting maps: import, export, creating your own and more. Creating advanced materials using different texture maps. Adding labels to non-trivial models: deformed labels, shrinks and undistort and more. Finnish cloudberry tea: The development of a folded box of tea from start to finish, featuring the folder carton template, PDF editor, flexible bag templates and keyframe animations. Apple tray: Creating an apple tray with 6 apples, featuring importing Collada files, shrink wrapping, adding labels to objects, the artwork visibility manager and undistort. This video tutorial is about exporting from iC3D and Render Manager. This video tutorial is about Ray Tracing, Interior Fill. This video tutorial is about Ray Tracing, Materials and Environments. This video tutorial is about Ray Tracing, Render Manager configuration. Create heavy emboss and deboss effects on your iC3D models. Learn 2 different techniques on how to create and apply displacement maps using the iC3D Bump Displacement Template. You will learn how to create displacement maps by applying labels to your iC3D model whilst creating your desired effects from your Adobe Illustrator 2D artwork. You will also learn how to create these effect by applying a texture bump map to your model material. Create heavy emboss and deboss effects on your iC3D carton models. Learn how to create and apply displacement maps to your cartons using the iC3D Bump Displacement Template and your Adobe Illustrator carton artwork. You will also learn how to create an inverse emboss, or deboss effect on the reverse side of your carton board. Ray Tracing accurately simulates effects of light on virtual objects for photorealistic, ultra-high-resolution, accurate photo studio effects. 3D Model Interiors enables realistic liquid filling, at any angle. Light Map Editor re-creates studio lighting, editable highlights and shadows. Dynamic Backgrounds real-time merging of 2D photo images with 3D designs. Perspective Control matches 3D model perspective to 2D photo backgrounds. Utilize Interactive Flexible Models from the IC3D Suite Template Library, which provides industry standard packaging models that can be created to specific sizes and include Base artwork documents to accurately display artwork over the complete package. Create labels on the model faces and manually transform the template model to size. Set seal heights, and also a particular style, such as crimping, etc. Add Notches & Holes and Locking Mechanisms. Display the flexible model as empty or full. Adds Multiple Shelving/Gondolas Refrigeration & Chiller display units. Enables product comparisons instantly! Learn how to use the IC3D Transform tools to Transform 3D Objects, created in the 3D view. Utilize the Transform Move, Scale and Rotation buttons to create accurate and realistic 3D models. Learn how to transform models with the IC3D Suite Transform window that provides additional functionality to t models in the 3D view when each Transform tool is selected. Utilize the help buttons to Move Scale and Rotate the 3D model and duplicate to specific co-ordinates and specifications. Import or create Interactive Flexible Models and save them to the model library. Utilize the Add Flexible Model Functionality to merge empty flexible 3D images with full 3D images that will generate interpolation models to interactively show empty and full bags and containers in the 3D scene. Learn how to create a crisp bag flexible model, save it to the model library and project artwork on the model in the 3D scene. All the new updates are provided free to iC3D Suite users. 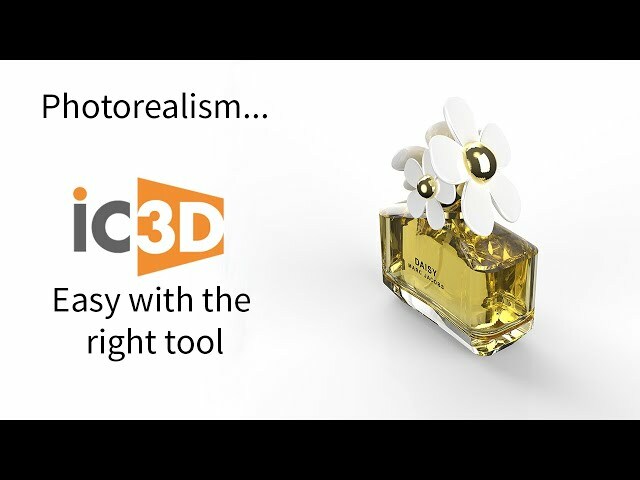 This tutorial video shows users how to easily create both simple and more complex assymetric 3D models directly within IC3D Suite. Create your own plastic containers, trigger sprays, perfume bottles, butter tubs. Endless possibilities and fun. Display completed packaging products within a realistic shelving and stacking environment. Create and edit Shelf Layout Templates and add multiple packaging objects to simulate supermarket shelves. Stack objects with offset configurations, rotation, spacing and positioning and aligning transformations. Show realistic stacking on pallets and shelves to simulate brand continuity from single unit through to shipping and point of sale display. Import dielines that are incorrect or are incomplete to generate a 3D carton image. Repair a structure that has fold lines missing. Break apart, join and draw lines. Create new faces. Assign Cuts and folds to profiles. Define linked fold angles and preview the result before adding to the scene. Create carton materials to simulate realistic carton images. Use short cut keys. Assign a front face. Define linked fold angles and preview the result before adding to the scene. Apply carton materials to simulate realistic carton images. Adjust carton folds in the 3D view utilising the carton options window. This tutorial video will show you how to add PDF artwork or labels to models directly within IC3D Suite or Carton Edition, with overprint and layer control. This means native PDFs can be imported from any PDF Workflow without needing to use Adobe Illustrator. Create a model that will display completed packaging products within a realistic point of sale shelving and stacking environment. 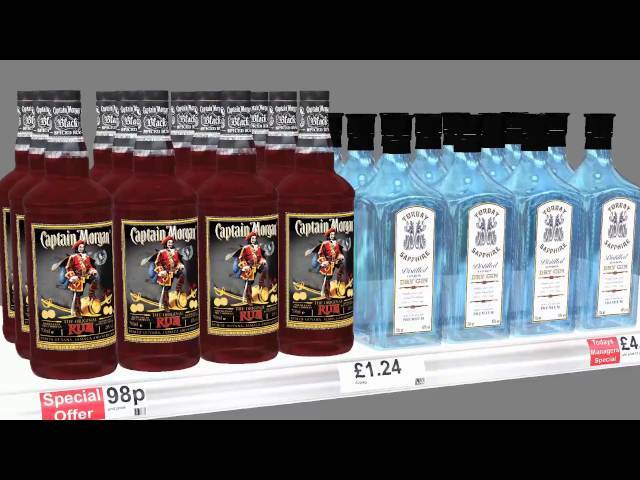 Convert models and add multiple packaging objects to simulate shelf displays. Stack objects with offset configurations, rotation, spacing and positioning transformations. Show realistic display boxes with models inside to simulate realistic point of sale display models. Save models to use in future projects. Animate 3D Packaging Models. Transformations and carton folds. Utilize the timeline functionality of the animation window. Use the timeline needle to configure points of movement. Create key frame animations of all 3D model components. Create camera animation effects and loop the animation sequence. Play animations in real time. Learn how to sequence folds in the timeline. Extend or reduce the animation timeline. Record and save animations as Freehand or Timeline movies for presentation purposes. Import dielines that are incorrect or are incomplete to generate a 3D carton image. Repair a structure that has fold lines missing. Break apart, join and draw lines. Create new faces. Assign cuts and folds to profiles. Define linked fold angles and preview the result before adding to the scene. Apply carton materials to simulate realistic carton images. Use short cut keys. Assign a front face. Define linked fold angles and preview the result before adding to the scene. Apply carton materials to simulate realistic carton images. Adjust carton folds in the 3D view utilixing the carton options window. Create 3D Carton images from 2D cutter profiles and artwork generated in Illustrator to produce high quality carton packaging models. Import complex DXF cutter profiles to generate a 3D carton image. Assign Cuts and folds to profiles. Define linked fold angles and preview the result before adding to the scene. Apply carton materials to simulate realistic carton images. Use short cut keys. Adjust carton folds in the 3D view utilizing the carton options window. Display Illustrator artwork accurately with spot FX on the carton in the 3D view. Create 3D Carton images from 2D cutter profiles and artwork generated in Illustrator to produce high quality carton packaging models. Import basic DXF cutter profiles to generate a 3D carton image. Assign Cuts and folds to profiles. Define fold angles and preview the result before adding to the scene. Apply carton materials to simulate realistic carton images. Create new materials including corrugated effects. Save the folded cartons for future use in other projects. Adjust carton folds in the 3D view utilizing the carton options window. Display Illustrator artwork accurately with spot FX on the carton in the 3D view. Learn how IC3D Suite uniquely displays completed packaging products within a realistic shelving and stacking environment. Create Shelf Layout Templates and add multiple packaging objects to simulate supermarket shelves. Stack objects with offset configurations, rotation, spacing and positioning transformations. Show realistic wrapper display boxes with models inside and shipping boxes stacked on pallets to simulate brand continuity from single unit through to shipping and point of sale display. Apply special material effects such as holographic and lenticular materials. Design your own holographic materials using grayscale templates with diffraction values, changing them to design your own holographic materials. Apply masks to stop the holographic material being shown in a particular area, to create your own very sophisticated designs. Design and view your own lenticular effects. Apply multiple images to seamlessly show the moving image. Add and reduce images, to view common natural blurring effects associated with lesser quality lenticular products. Draw and create a 3D bottle or image to project labels and artwork using the Bottle Twist Template. Create other bottle faces such as bottle tops, join them together in the 3D view and manually transform the template model to size. Import DXF files created from illustrator and other 2D or 3D graphic applications to create specific bottle shapes. Edit imported shapes using the Bottle Twist tools. Save the Bottle Template designs for future use without having to redraw the model. Apply material effects to the bottle. Apply Image Based Lighting or I B L, unique to IC3D Suite, originally developed for the movie industry. Render characters and make them look very realistic in real-world environments. Utilise environments using spherical maps, based on retail stores, or other environments you want to test your products in. Configure a particular lighting condition. Import Lighting Environment maps into IC3D Suite, to create a complete real-world map of the lighting inside a particular environment. Accurately calculate lighting and reflections of environments on the 3D model. Apply Spot FX materials in IC3D Suite to Adobe Illustrator label graphics, utilizing spot color information from the Illustrator file. Create special metallic effects and embossing to enhance the visualisation of your 3D model. Create special effects by adding liquid to your model, understanding the functions and tools that will realistically display your 3D model to give it an added dimension, that will enhance the creativity of fresh new modern designs. Utilize the IC3D Suite Interaction functionality with Adobe Illustrator to add creative labels to your 3D models. Create blank labels and draw designs in Illustrator in Real Time, which will update and project on to your 3D model in IC3D. 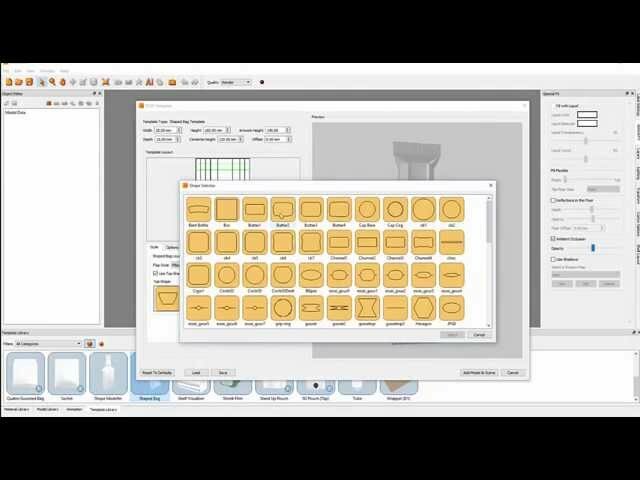 Automatically create labels from Illustrator files that will display on selected meshes or all meshes of your chosen 3D model. Position labels to the desired areas on your model to create a realistic 3D view complete with industry standard graphics. Learn how to add a 3D model to the 3D view of IC3D Suite and create materials to decorate the 3D model, in order to display a realistic wine bottle with a neck and realistic glass effect. Understand the different tools and functions to manipulate accurate material textures and colors to enhance your 3D creation. Use the shipped materials that come with IC3D Suite. Discover the different ways that materials can be added and reused for other projects and build up a comprehensive material library. Organize your application desktop to fully optimize the 3D Ideation capability of IC3D Suite. Understand the different tools in the main toolbar and arrange the IC3D windows functionality. Utilize the docking capabilities of IC3D Suite. The Tutorial also outlines each tool and window in order to familiarise you with its 3D modelling functionality and its interactivity with Adobe Illustrator, outlining the additional modelling and material components that come shipped with the software. This tutorial video will take you through our easy to use, fast Shrink Film, Wrap and Sleeve feature. It will also show you how to easily create the artwork distortions necessary to be viewed correctly on single and multiple 3D models . *Adobe Illustrator Version 16 is required (i.e. CS6).